Mesothelioma Treatment Options… mesothelioma is a rare cancer, extremely aggressive. Malignant mesothelioma is diagnosed in people who have been exposed to high levels of asbestos with a long latency period. Unfortunately, it is not manifested until the disease has reached the advanced stages and out of control and the prognosis is often not favorable. As with any cancer, treatment for Mesothelioma depends on the location of the cancer, type of the tissues involved, the progression of the disease, the metastases and its extent, the age as well as general health of the patient. The mesothelioma survival rate following diagnosis and treatment is usually low. In general, the prognosis and hope for many options in treating Mesothelioma has been improved over these past few decades. How do you treat mesothelioma? Nearly all treatment is aimed at controlling the disease and it is the oncologist who will decide on the line of treatment on an aim of keeping symptoms under control. The disease is extremely aggressive and very difficult to treat, but the hope for tomorrow replaced the gloom and doom of the past. You may have to go through the traditional type of treatments such as chemotherapy, radiotherapy or surgery. If the cancer has not yet spread, a combination of radiation, surgery and chemotherapy may be the kind of treatment needed. Or you may have to go through Mesothelioma Alternative Treatments. Due to the advances in therapy for mesothelioma, Mesothelioma survivors are living longer . 1-Surgery is not always right for all mesothelioma cases; if the diagnosis is done in the early stages, surgery may be recommended. The aim of surgery is to remove all cancerous tissues from the lining of the lung, abdomen, or heart, OR controlling the symptoms of mesothelioma rather than the disease is for late stage patients to improve the quality of life. Surgery is often combined with other traditional treatments, like chemotherapy and radiation therapy, to increase its effectiveness. • Extrapleural pneumonectomy (EPP). Many consider the EPP to be the “gold standard” of treatment for pleural mesothelioma because of many benefits such as it is one of the best ways for pleural mesothelioma patients to live longer with better quality of Life.The surgery involves removing the affected lung and surrounding tissue to prevent mesothelioma from recurring. • Pleurectomy/decortication (P/D); this is an alternative surgery … a procedure in which the mesothelium lining of the lung and chest cavity is removed. Intraoperative radiations are often used to kill remaining mesothelioma cells. • Cytoreduction with HIPEC. This surgery is for patients with tumors in the abdomen (peritoneal mesothelioma). A surgeon removes the affected lining of the abdomen and surrounding tumors. When it’s combined with heated intraperitoneal chemotherapy (HIPEC) it reduces the rate of cancer recurrence by killing remaining mesothelioma cells and considerably increases patient’s life expectancy. • Pericardiectomy. This surgery is for patients with pericardial mesothelioma. 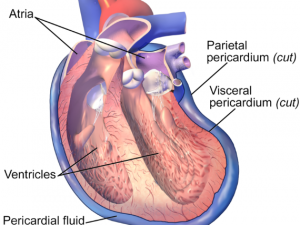 Surgeons remove part or most of the pericardium of the heart and any visible tumors that is calcified and fibrous. • Palliative surgery. This surgery is advised in late stages; which are designed to relieve pain caused by symptoms of the disease. Early stage patients also benefit from palliative treatment. 2. Radiation treatment can be used in all stages not like surgery. In fact it is often given in combination with surgery. This treatment is prescribed aggressively for mesothelioma patients to help in killing cancer cells and shrink tumors in order to control symptoms, palliatively. 3. Chemotherapy is an option either prior to surgery or after surgery. But for those who are not acceptable for surgery, chemo may be the main treatment (alone or along with radiation therapy). Only around 12-20% of patients respond to the Chemotherapy. Chemotherapy drugs are mainly used to relieve pain and other discomfort. Chemotherapy uses anti-cancer (cytotoxic) drugs to destroy cancer cells and prevent their spread. 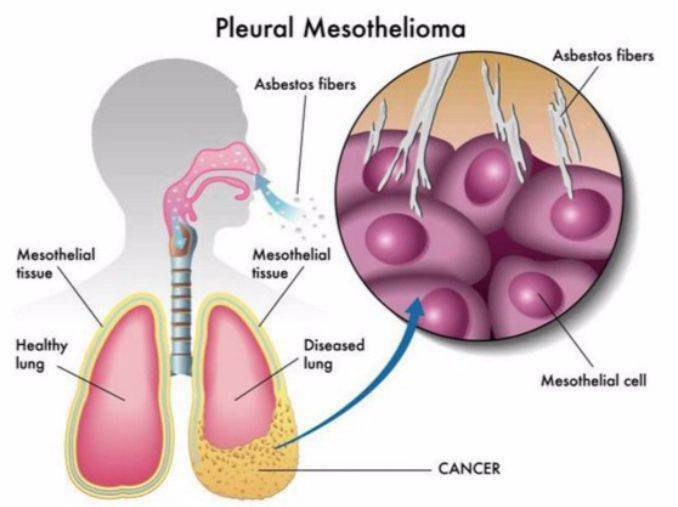 In mesothelioma, chemotherapy is not considered to be curative, it is often given to shrink the tumor prior to surgery thus lowering the risk of spread and control the mesothelioma for a time. In some cases Chemotherapy is used after surgery to kill any cancer cells that were left behind. Biological Mesothelioma treatment is a more recent approach to Mesothelioma and all cancer treatments, it bypass some of the worst side effects of chemotherapy. 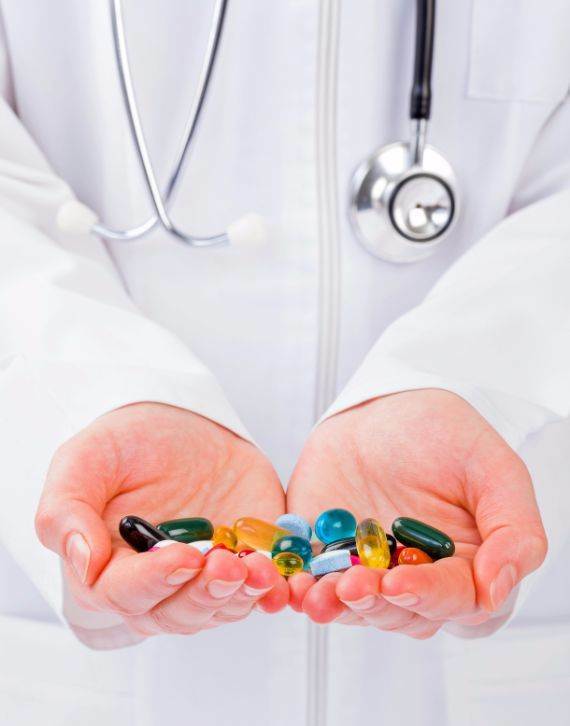 Biological therapy is the use of analogues of natural substances that involves the body’s own defense mechanisms. Biological therapy fights tumor cells; such as using of living organisms, substances derived from living organisms, or laboratory-produced versions of such substances to treat disease by attacking a particular protein, enzyme or other cellular component or an approach. In short …Biological therapy boosts the immune system and other body defenses to fight cancer with substances the body produces naturally. Immunotherapy where the body’s own immune system is enhanced to response to the disease, but it has not been able to cure the cancer. Immunotherapy prevents spread of cancer by regulating its metabolic reactions that promote its growth and block or reverse any processes that lead its formation. Gene therapies are made to treat the disease by repairing the abnormal gene that causes the cancer. This is of two kinds, replacement gene therapy (replacing a damaged or missing gene with a “normal” copy into an individual’s cells by using a virus that has been genetically modified to carry human DNA to regulate cell growth and division, and suppresses tumor growth.) and knockout gene therapy by assaulting the genes prone to tumors and preventing them from forming. However, administration of lovastatin has increasing clinical evidence for the prevention and treatment of cancer. Photodynamic treatment where a photosensitive medication is activated using a light energy – laser to kill deadly mesothelioma cells in patients with pleural mesothelioma. This is done during the surgical removal of cancerous tissues were laser light is used to activate a drug that targets and kills mesothelioma cells. Draining of fluid in mesothelioma treatment is to help the patient to live longer, reduce pain and improve symptoms. 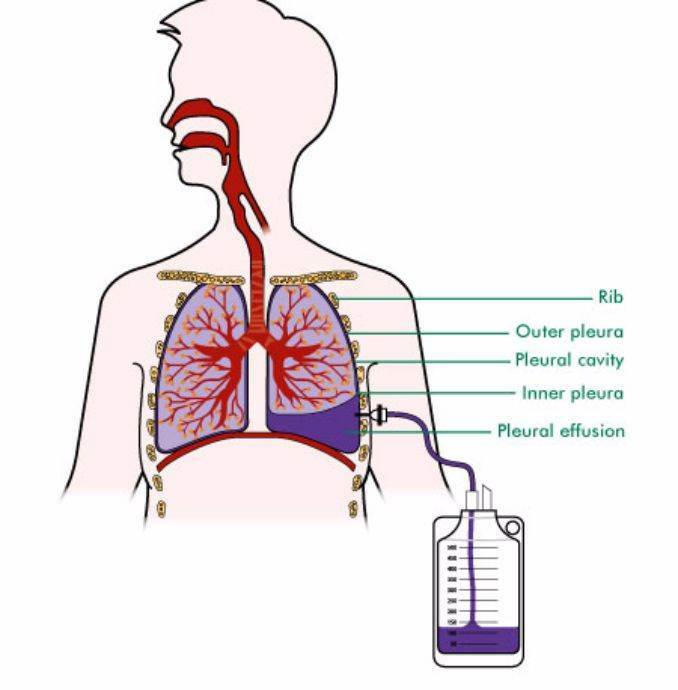 Drainage of the fluid in the chest or abdominal cavity is followed by introduction in patients who have uncontrolled fluid accumulation and intense discomfort stemming from it. Trimodal therapy or Combination therapy is an approach that includes surgery, chemotherapy and radiation. Often, complementary medicines are also used to help treat the cancer and its effects on the mind and body and this often increase the survival rates. Termed to be holistic this kind of treatment used to describe health care approaches that originate outside of mainstream medicine such as patient’s physical, mental, emotional, and spiritual well-being for better management of the stress and anxiety of the disease and conventional treatments.